Run by a long-time artist, Sherry Waldman, Sherry’s Art Studio is the destination for art in all forms. Whether it be a canvas or a piece of furniture, Sherry’s Art Studio never limits art to one medium. 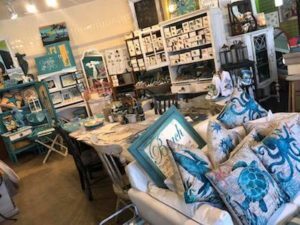 An art studio grounded in technical skill, Sherry’s takes art to a functional level including pillows, dressers, and more. Sherry’s Art Studio wouldn’t be a proper studio without workshops. From beginner to advanced workshops, artists at all levels participate in Sherry’s workshops to gain valuable knowledge while simultaneously making wonderful pieces of art.